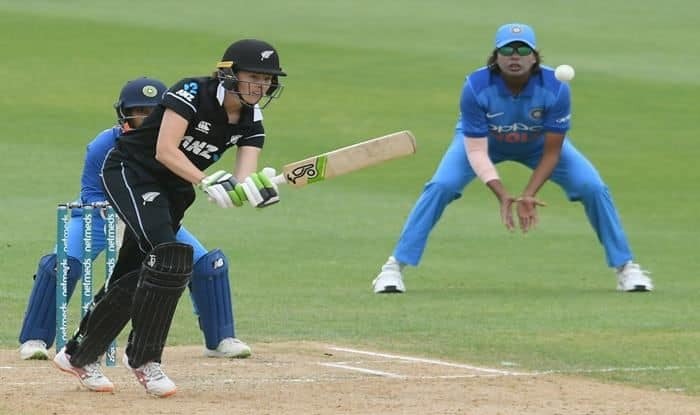 India Women vs New Zealand Women 3rd ODI: Having already sealed the series, the Indian women’s cricket team put up an ordinary effort with the bat to go down by eight wickets against New Zealand in the third and final ODI on Friday. Captain Mithali Raj, playing a record 200th ODI on Friday, had spoken about the importance of a clean sweep going into the game but her team could muster only 149 after being put in to bat. The White Ferns chased down the target in 29.2 overs to register a morale-boosting win. Deepti Sharma, batting at number three, was the only one to make a significant contribution for India, top-scoring with 52 off 90 balls. India collapsed to 149 all out in 44 overs after being at 117 for four in the 35th over. ” I am happy with the first series win in New Zealand. I am happy that youngsters like Deepti (Sharma) and Jemimah (Rodrigues) got runs. We definitely wanted to try a few things. The bowlers have done well through the tournament. But today we didn’t get enough runs,” Mithali said in the post-match presentation. The venue proved to be a testing one for both of India’s men and women’s teams. Having sealed the series 3-0, the Rohit Sharma-led side too suffered a heavy loss on Thursday after being bundled out for 92. The ball swung and seamed consistently for the first time in the series, troubling the highly-rated Indian batting. However, off-spinner Anna Peterson did the maximum damage in the women’s fixture on Friday, taking four wickets for 28 runs in 10 overs. Pacer Lea Tahuhu chipped in with three wickets and conceded just 26 runs in nine overs. “We talked a lot about pride and just wanted to bounce back. Really glad that we did. But probably took us a little bit too long,” said White Ferns captain Amy Satterthwaite. Considering opener Smriti Mandhana’s match-winning performances in the previous two outings, the Indian middle-order did not need to do much. Such was the visitors’ dominance that star batswoman Harmanpreet Kaur did not get to bat. “I would have been really happy to get some more runs. The first two games were very satisfying, I was happy that I could score the winning runs. It’s a lot of hard work yet to be done. I have to score more, win more matches to be tagged the best in the world,” said Mandhana reflecting on her performance. New Zealand chased down the target with ease with veteran Susie Bates (57) and Satterthwaite (66 not out) scoring fine half centuries. Mandhana was awarded player of the series for 105 and 90 in the first two games.